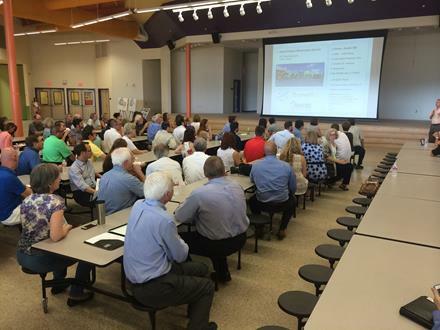 Our crowd for the September 2014 Luncheon. SMPS Austin advertises job openings free for members. There is a $100 fee for non-members. For more information, please contact Beth Sims. 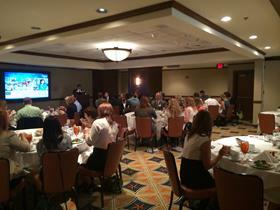 Hello Austin, and welcome to the 2014-15 SMPS Austin Chapter year! School is back in session, football is in full swing, and fall has finally arrived in Central Texas. While the weather has cooled off a bit, we’re grateful the construction economy continues to heat up in our growing city. For many firms, it may be very tempting to focus the bulk of marketing and business development efforts on readily available opportunities. However, that strategic planning your firm worked so hard to develop a few years back during the economic slowdown should not be forgotten. You remember – the one with all the strategic diversification goals and commitment to marketing improvements? As a recognized leader in the creation of business opportunities within the A/E/C industry, SMPS is the ideal resource to develop your firm’s local, regional and national networks through collaborative business referrals and intelligence. Over the past several years, the SMPS Austin Chapter has focused our efforts on developing timely and relevant programs offerings for members of the architectural, engineering, and construction community to learn about upcoming business opportunities, improving marketing skills and knowledge, and developing new professional relationships through networking. This commitment to program improvement has been an ongoing effort by a series of outstanding SMPS chapter leaders, many of whom I’ve met as a chapter volunteer over the years – and all of whom I’m proud to consider as friends. As your new chapter president, I’m grateful to be working with such a phenomenal group of A/E/C industry volunteer leaders on the board this year, and I have no doubt we’ll continue to build on the past successes of the Austin Chapter. And speaking of great programming, we recently kicked off the year with our September luncheon at the UT Club featuring representatives of Austin Community College to discuss their current $386M bond proposal. In addition, we held our annual kick-off celebration at Star Bar with a great turnout of both members and non-members from across the local A/E/C community. I hope to see you at some of the exciting, upcoming events that our Chapter has organized. Happy Fall! Our Communications Committee is happy to announce that we will be moving from a quarterly newsletter to a monthly newsletter. Our goal is to keep the newsletters concise and to keep you updated and informed. The SMPS Austin Chapter is excited to host its 5th Annual Awards competition honoring excellence in marketing and communications. Entries are open to material produced from November 2013 - November 2014. Awards will be presented at the SMPS Holiday Networking Luncheon on December 9th. 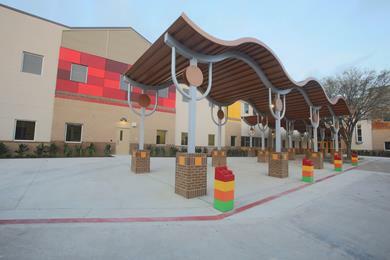 The first ever adaptive reuse elementary school for Austin ISD. 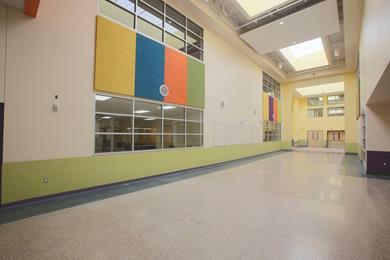 The school was carefully fitted into an existing industrial manufacturing warehouse building. 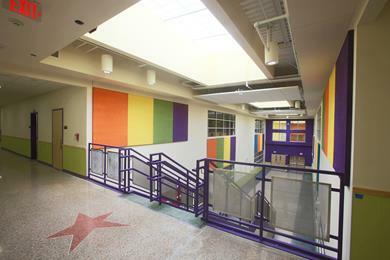 Among many other challenges, this required accommodating AISD’s standard classrooms into the existing structural grid, surgically inserting a second floor into the high bay space and redesigning the non-descript façade to reflect its new purpose as an elementary school. Daylight was brought into every teaching space and many public areas through skylights and light-filled atriums, providing natural light and wayfinding, two major challenges in this sprawling former industrial box. 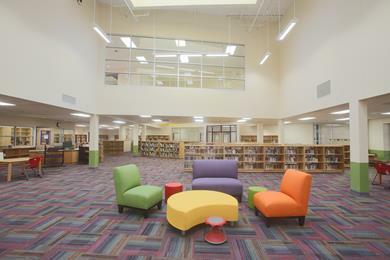 The building achieves a small green footprint, designed for both a LEED Gold rating, as well as Austin Energy Green Building’s 3 or 4 star rating. A prominent feature is a rooftop 245 kw solar photovoltaic array, which was added to the project during construction. Polished concrete floors throughout will increase resistance to wear and decrease maintenance for the life of the facility. Below are more photos of the project, courtsey of Flintco. This seems so simple, but it so important. Why? Because it is professional. It shows the recipient that you care and aren’t too busy to remember to whom you are writing. It demonstrates thought and courtesy. Too often, business email resembles text messages. Open with the recipient’s name (Dear Jane) and close with yours (Sincerely, John). Obviously some sentences run longer and others shorter, but it is a good rule of thumb. Too much longer and you get a run-on sentence leaving the reader out of breath and probably too tired to continue. Plus, if your email is being read on a smart phone, odds are that 20-word sentences appear much longer in that context. Again, give your audience a break. Clumps of text are overwhelming. Even with the obvious starting and ending points, the reader will have trouble figuring out where to start. Worse, your target audience could say, “Self, I have way too much going on right now. Maybe I’ll try to figure this out later.” Into the dreaded “to do” folder it goes, never to be seen again! Note: Items 2 and 3 assume the email is being composed on a computer with the intended recipient also viewing it on a computer. Know your audience. If they do 90% of their business on a tablet or smart phone, customize your message accordingly (i.e. customize your message so they see 5-6 lines on their device, even if it looks odd on your end). When lunch is about business, selecting the right location is crucial to setting the tone. SMPS asked our members to share their favorite restaurants around Austin for mid-day meetings. So, whether you’re new to town or just burnt out on your usual eateries, here are some ideas to add your restaurant rotation. In this newsletter, we are highlighting restaurants downtown. Swift’s Attic is a hip space with a menu to match. The food is just a little unexpected and always a taste adventure. Great for lunch with dining partners that are interested in exploring the spirit of Austin’s culinary innovation. Frank’s tag line is “Hot Dogs, Cold Beer,” but these aren’t your average hot dogs. Great for a casual crowd who might also enjoy a beer (or two) with lunch. Athenian Bar & Grill is a family-owned Greek restaurant that specializes in the details, where ambiance and authenticity are served up in every carefully thought-out bite. If you want a little excitement, try the flaming Saganaki appetizer, a sheep Greek cheese that is lit on fire table-side. Perry’s Steakhouse & Grille creates an experience that is casually elegant and serves the choicest cuts of hand-selected, USDA-aged Prime beef, cut fresh daily. Not in the mood for beef? Visit for lunch on Friday for their “Famous Pork Chop Friday Lunch” for just $11.95. Be sure to make reservations though, as this is a popular special. Second Bar and Kitchen is an easy walk from just about anywhere in downtown, you can enjoy upscale American food with a twist. Great for an intimate business lunch or a group setting, particularly if everyone likes to share. I work as a Proposal Coordinator for Parsons Brinckerhoff. We are a global consulting firm offering planning, development, design, construction, operation and maintenance of infrastructure projects. Where is your hometown? Where did you go to school? This is always an interesting question for me as I have two – I was born in Orlando, Florida, raised in Eagan, Minnesota, and went back to Orlando, Florida for high school. I went to college at Webster University in St. Louis, Missouri. What do you like to do in your free time? Hobbies? In my free time I enjoy such activities as zumba, yoga and golf. I also like to visit the farmers market and cook. My favorite thing to do, though, is listen to music, particularly live – which I hear there is great opportunity to do so here in Austin! What prompted you to join SMPS Austin? I was a part of the SMPS St. Louis Chapter before moving and wanted to continue to participate in the organization. I am the Branch Administrative Coordinator and Branch Marketing Coordinator for the Austin office of WJE. I grew up in Jonestown, Texas, about an hour north of Austin. I went to school at The University of Texas at Austin, where I graduated with a BA with Honors in English. I do a lot of volunteer work with the National Multiple Sclerosis Society and enjoy running. I also enjoy spending time with my son, Connor (age 6), and my daughter, Allie (age 2). 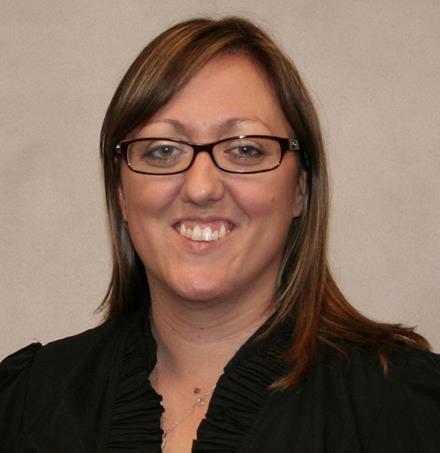 Erin Bettison, CPSM is now Business Development Manager at The Beck Group. 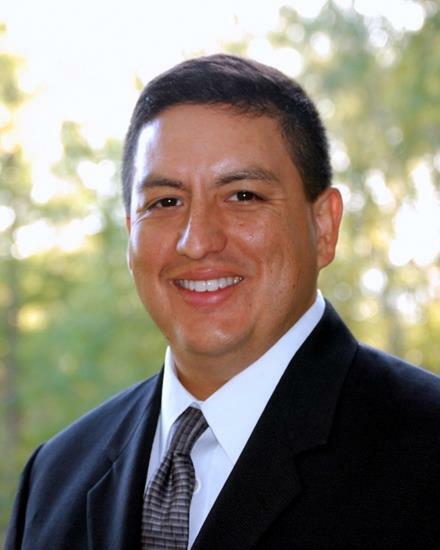 Eric Churchill is now Vice President at Broaddus & Associates. 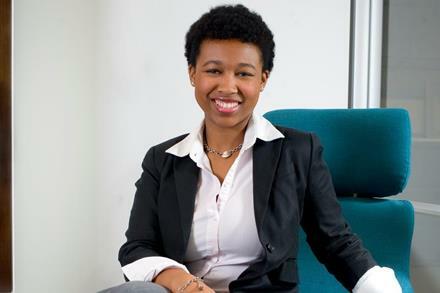 Karen Lacey is now Designer & Project Manager at KDS. 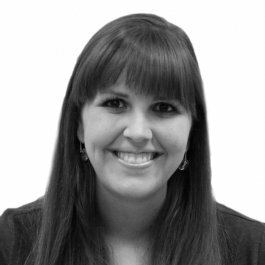 Erika Passailaigue, CPSM is now an Associate Principal at Datum Engineers, Inc.
Rhonda Bly Sullivan is now Business Development at American Constructors. Devin Williamson is now an Associate at Raba Kistner Consultants.